Central America’s most pristine wilderness, Isla Coiba & surrounding islands are far off the Pacific Coast of Panama. In blue water edging the continental shelf. 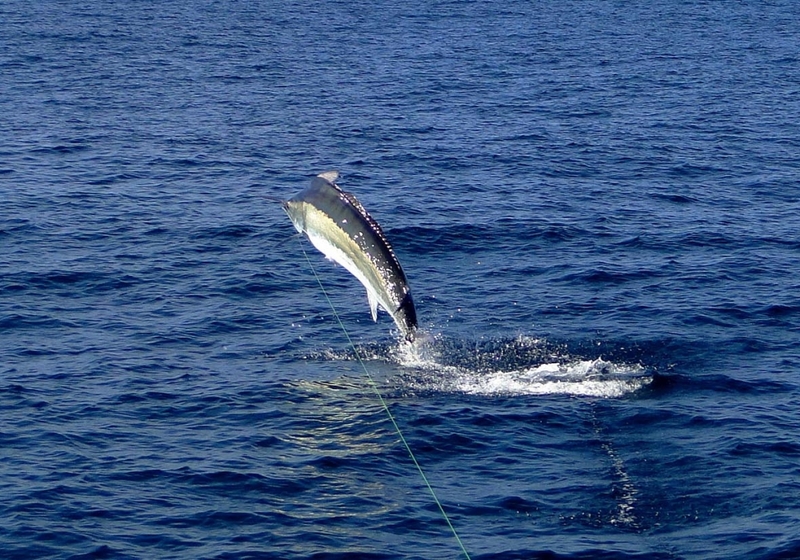 Black Marlin and Blue Marlin come up to feed here. 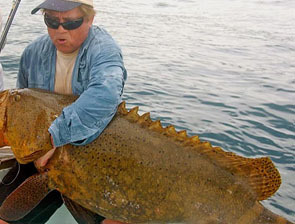 I’m Tom, an American sport fishing guide with a 31 Bertram. I’m the fishing guide in these islands Since 1991. 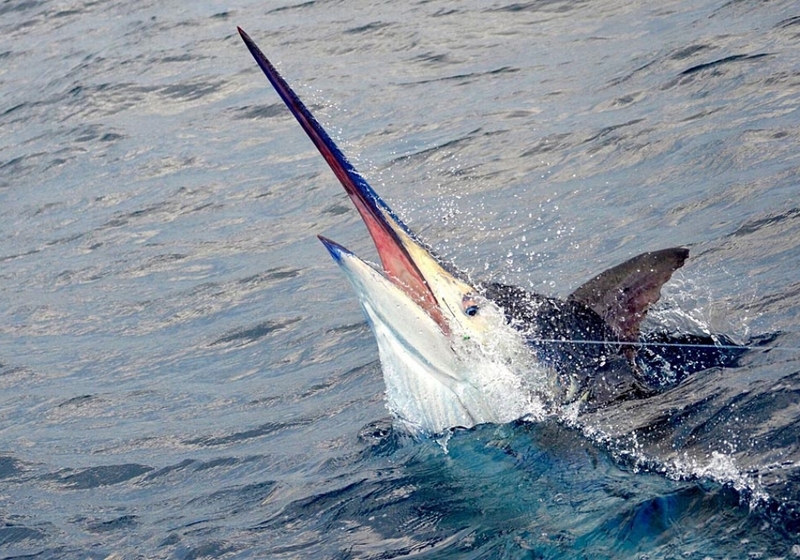 Marlin are here year-round, not little stripes or whites, big blacks & blues. 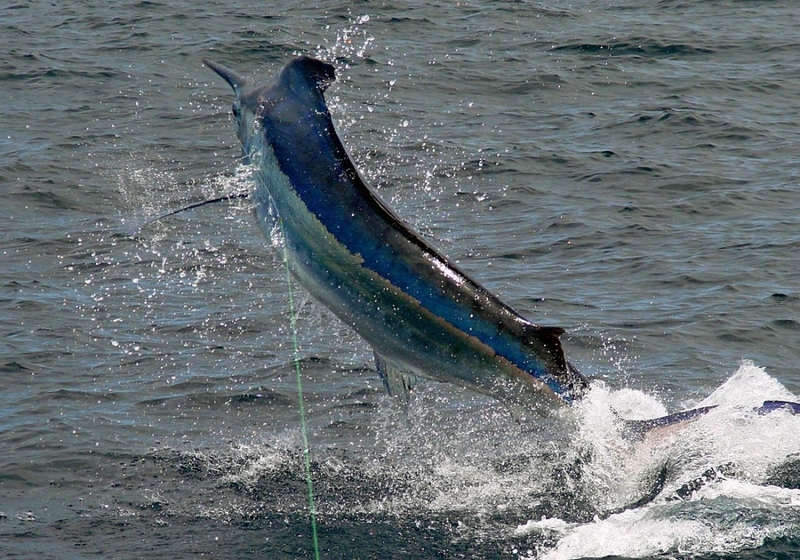 Black & Blue Marlin over 400 are standard, 700 pound fish are not at all uncommon. 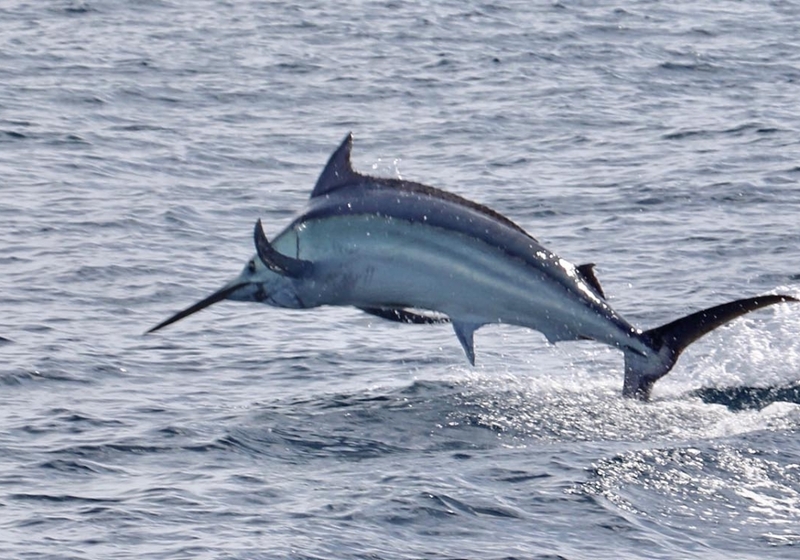 Black Marlin come out of the oceanic abyss any time of year to feed up on the edge of the Continental Shelf. Isla Jicarita, Hannibal Bank & Isla Montousa are in line along the edge where depths drop fast. These three shallow oceanic massives gather and hold bait Black Marlin come to eat. Large Yellowfin Tuna with thousands of spotted porpoise seasonally herd bait out of the depths, up onto the shallower banks to massacre. 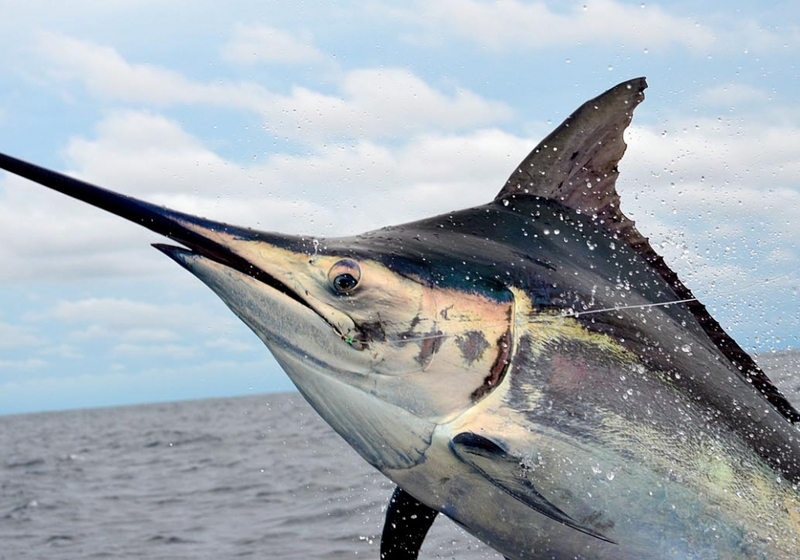 You will catch your Black Marlin & Big Yellowfin Tunas using different live bait techniques. Blue Marlin hunt a bit further out off the edge. 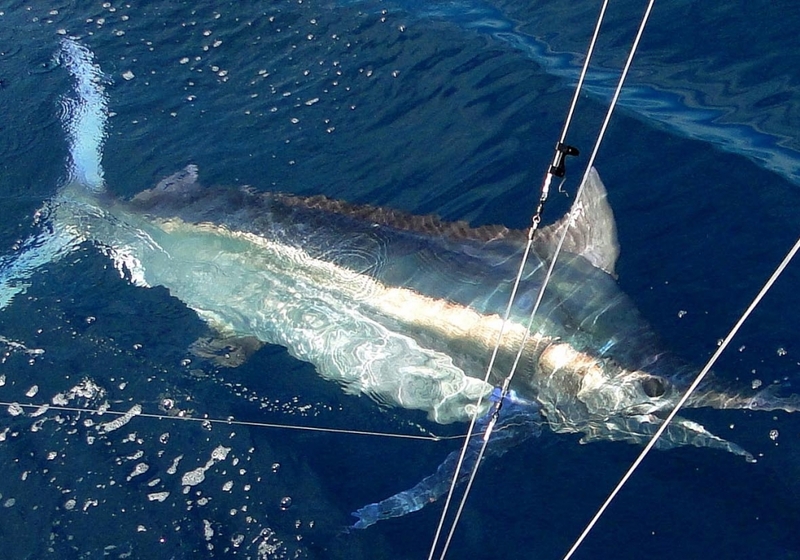 Blue Marlin are here, big ones in good numbers seasonally. 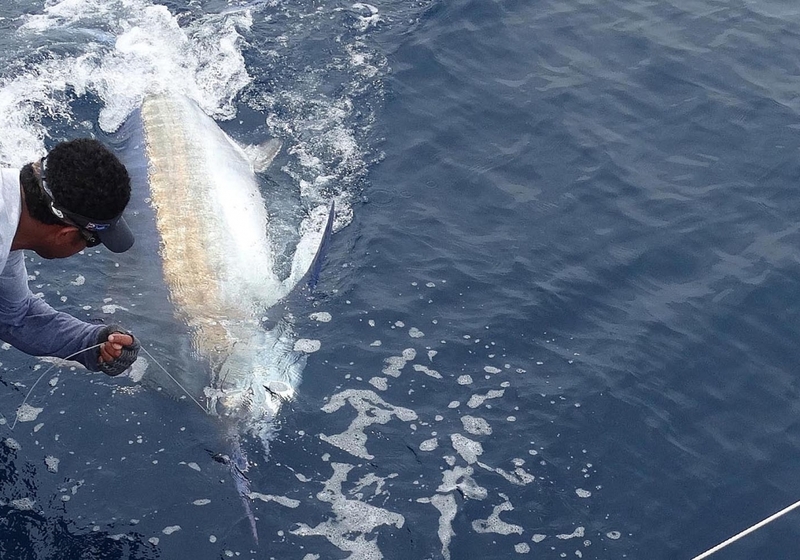 January is the height of Blue Marlin time. Many years producing several shots each day. 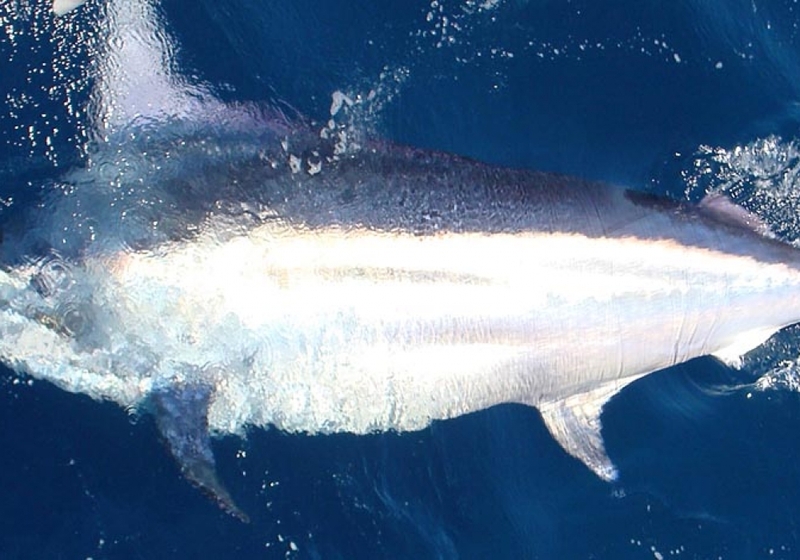 You’ll fish for your Blue Marlin using proactive lure techniques. Isla Jicarita, a breathtaking little mountain of an island, is under 2 miles from 600 foot depths. Two miles further the ocean is over 800 fathoms, 4,800 feet deep. Then goes deeper beyond 6000 feet. That’s a sheer rise in depth after a wide expanse of Pacific Oceanic void. When you know where bait commonly aggregates nearest the abyss, you know where where big ocean predators are going to hunt. The Hannibal Bank & Isla Montousa lie nearby further up and on the edge of the continental ledge with similar drops to extreme ocean depths. 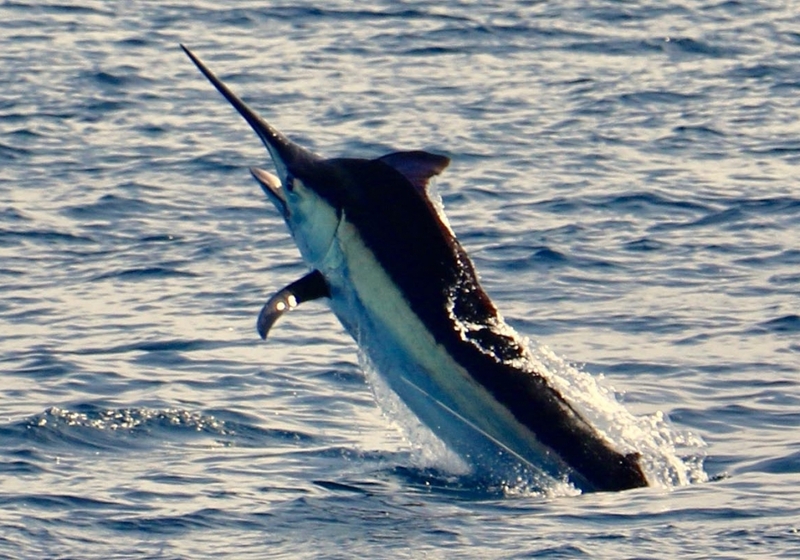 While the Hannibal Bank and now Isla Montousa are rightly known world-wide, as Black Marlin hot spots, lesser known and better yet is Isla Jicarita. Jicarita is the furthest island from the mainland in all of Panama, and sits furthest out on the shelf. 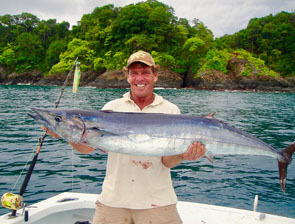 Isla Jicarita is only a 30 mile run along either side of Coiba’s coastline, when fishing with me. 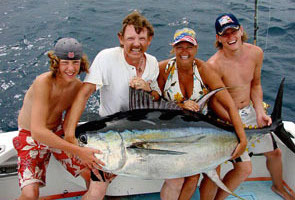 You are headed for a serious marlin fishing charter, off islands which hold the best cubera snapper, roosterfish and wahoo fishing in Central America. 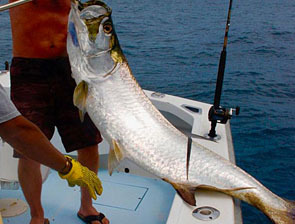 Gamefish remain here protected from exploitation by location and national park regulations. 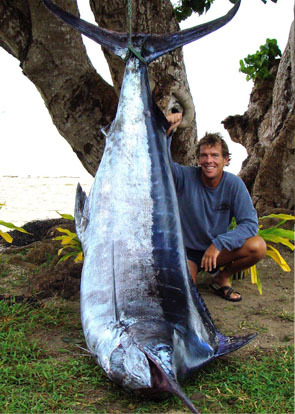 Catch and release trophy fishing for large unique species awaits you, amidst beautiful & primitive island scenery. Most days, no other boats are anywhere in sight. Easily count more sea turtles than people here. Sunday morning at dawn, depart Albrook Airport on a 1 hour 15 minutes flight, to Isla de Coiba. Landing at 7:45 am , you’ll find Capt. Tom & deckhand or two, waiting, ready to fish. Lines in at 8:00 am fishing for various inshore species or travel 90 scenic minutes to the marlin, big tuna and closer to the mothership. 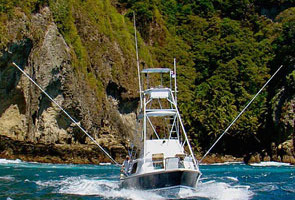 Here near the airstrip, halfway down on the East side of Coiba begins the best inshore action in Panama. 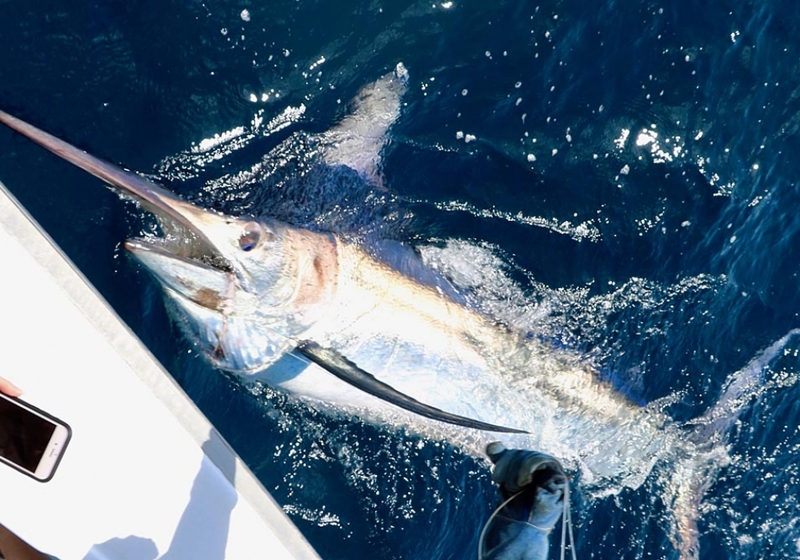 Steady action with, Dorado, African Pompano, Roosterfish, Wahoo, Colorado Snapper, Bonitos, Cubera Snapper, some Tiger, Bull & Blacktip Sharks, Jack Crevalle, Houndfish, Snook and even Tarpon sometimes are found right near here. 1 hour 15 minute run from this spot passes some good fishing holes, to put you at Islas Jicaron & Jicarita. Very beautiful is an understatement. These islands are awesome and rarely seen by others. 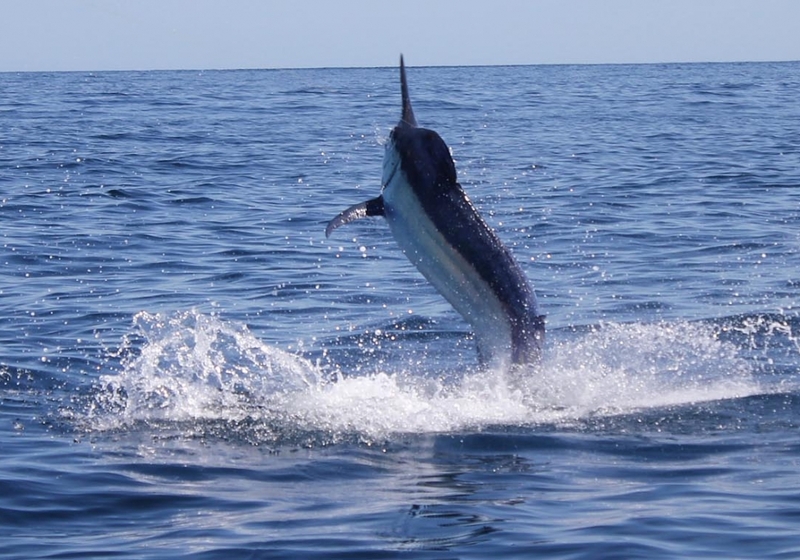 We regularly hook Black Marlin year-round only one mile from the islands and December through April, Blue Marlin just three miles out. 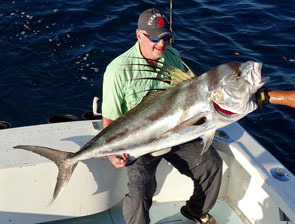 Closer in, good chances of Cubera Snapper, Wahoo, Almaco Jacks and small Yellowfin Tuna. 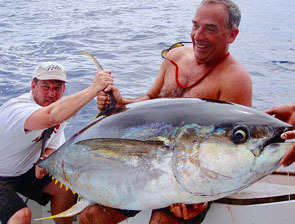 March through April brings the big Yellowfin Tuna in massive aggregations with spotted porpoise and birds. Its good to be out before dawn. We’ll put in long days. Regardless of weather we can always fish alone in calm water with gamefish around and among islands. We move the mothership around to different anchorages for whatever reason, whenever but, always near where the fish you are after commonly shows. The weather here is most always beautiful every day. Sunday through Wednesday nights you will be staying on our mothership the “Mama Nido” and enjoy healthy meals & open bar prepared by the captains daughter Jessica. The “Mama Nido” is an 80′ Gulf Crew Boat yacht conversion, served an American family with a Merritt, one dozen years in Panama. And like his Merritt, the owner built it out correct and clean. We received our mothership well maintained with everything I ever needed on board; all stowed, easily accessible and dependable. Mama Nido came to us with two groomed crew members who’d been on board ten years. This is a high quality acquisition. You need to come be a part of it, right away. We’re exceedingly happy down here these past months. 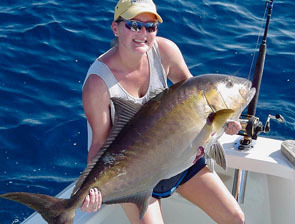 We are delivering our greatest fishing charter ever. This is the third mothership operation I’ve captained during the 26 years I’ve guided fishermen throughout Isla Coiba national park. I spent my first six years 1991 – 1997 exploring around the prison island with Paul & Judy Sanderson’s 70′ Yacht Mothership”Phoenix” and then, my homebuilt 70′ Steel Barge “Coiba Explorer” from Golfito CR. I’ve anchored up and overnighted in dozens of beautiful spots throughout the island park. Nobody knows this place better. And I’ve never had such great crew & equipment to show it all off. 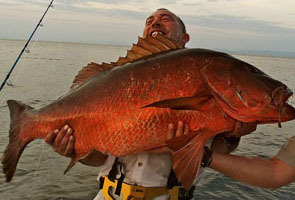 We’re based in Bahia Honda 15 miles north of Isla Coiba. 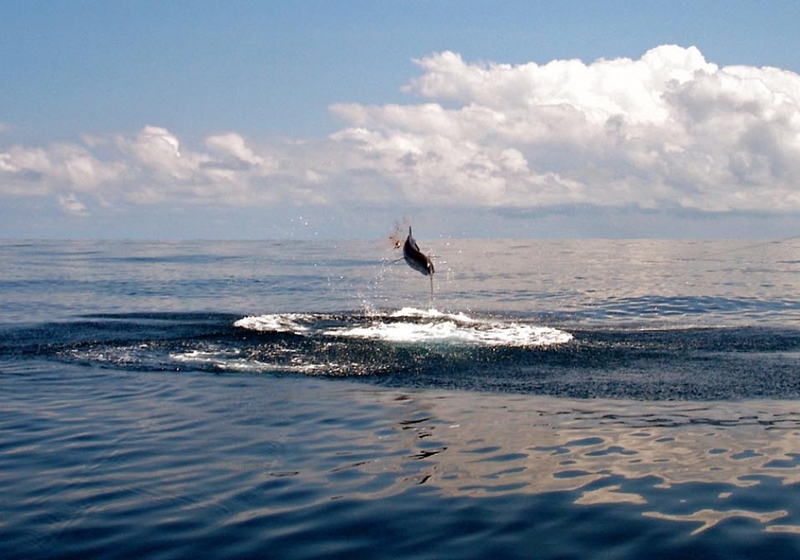 We move into the Coiba National Park during fishing charters reducing travel times to & from marlin, into minutes. 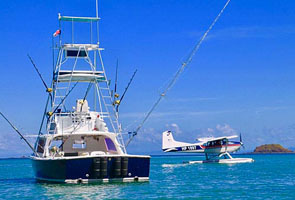 We are here in the beautiful, roadless, remote Bahia Honda when off charter, provisioned and ready. Your email inquiry comes to us via satellite. Jessica will be calling for you over a satellite phone, so leave her a best time to reach you. Jessica & I must run many more charters now, then ever. We are off to a great start and we are committed to staying right here, fishing every month of the year. It’s never been so easy and nice as it is today. Exclusively yours. Your party of up to four is ideal. 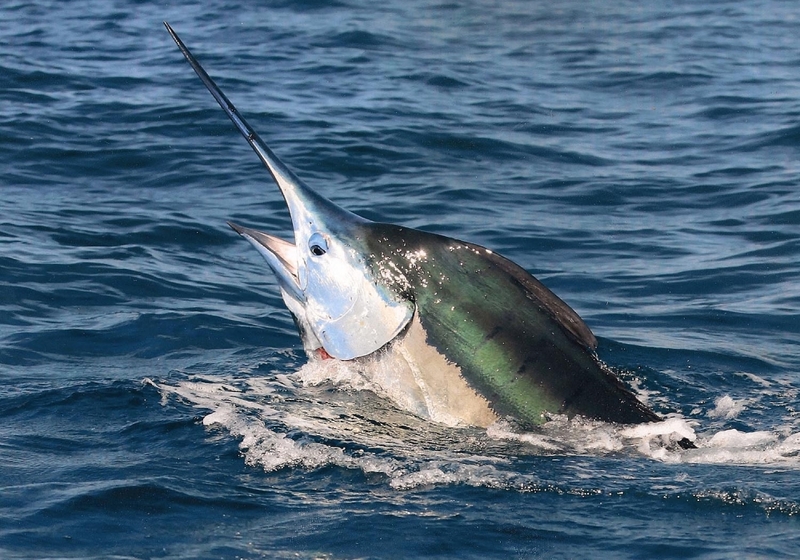 ©Copyright 2017-2019 Marlin Panama. All rights reserved.